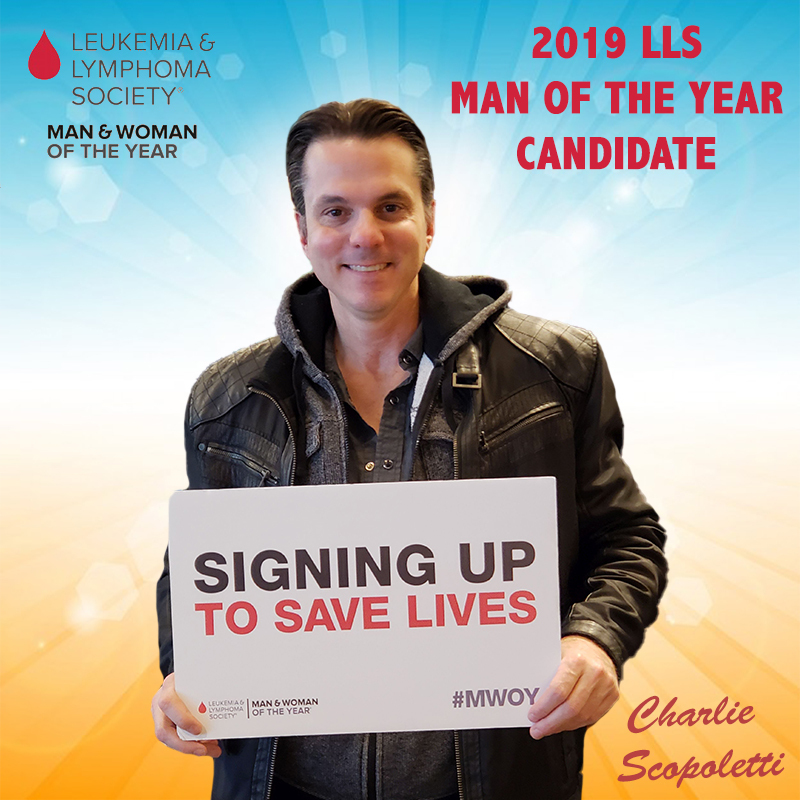 Welcome to Charlie Scopoletti's & Team Charlie's Angels Fundraising Page! 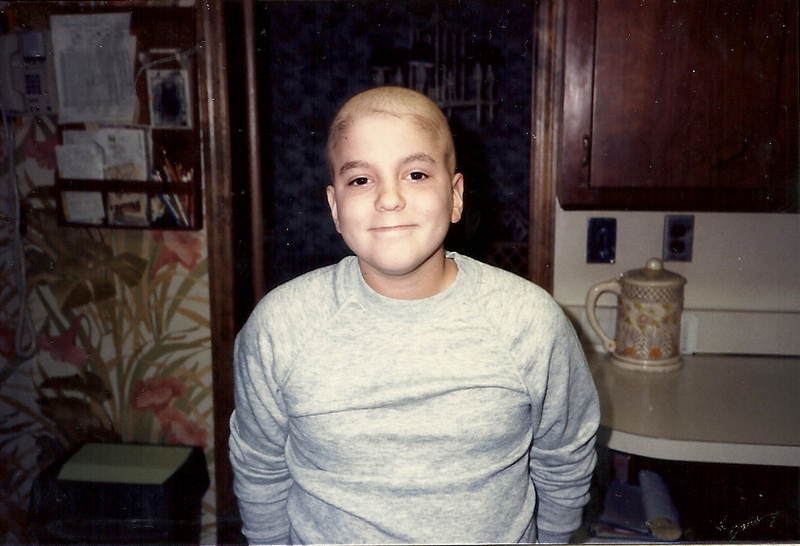 “You have Cancer.” That’s what I heard when I was only 10 years old. I had been diagnosed with Hodgkin’s lymphoma. The worry on my parents faces let me know that my life had been changed forever. I am honored to be a candidate for the 2019 Man of the Year! As I embark on my fundraising campaign in support of The Leukemia & Lymphoma Society (LLS), please join me in helping to find a cure for blood cancer. A year of chemotherapy, radiation, and surgeries invaded my childhood and those of so many other kids on the pediatric floor of Memorial Sloan Kettering hospital. The sorrow of knowing that not everyone made it to see their teenage years is a harsh reality of this disease. At such a young age, I realized how fragile life can be. I was blessed. My cancer went into remission. But, as the years went by I was challenged with many ailments, the result of cancer treatments weakening my body and immune system. A broken leg, collapsed lung, pneumonias, and inflammation crippled my body. Twenty years later, at age of 30, cancer returned. At the same time, I lost my best friend Natalia to brain cancer. This was one of the hardest times of my life. She was everything to me, had a heart of gold, and a smile that would light up a room. Watching her pass made me think about my own mortality. I was dealing with my second cancer diagnosis and again reminded just how fragile life is. These experiences gave me tremendous perspective and an appreciation for every single moment. I made a promise that I would make my life’s mission to inspire, spread hope, and make a positive difference in this world. I made it my mission to help find a cure for cancer. We have all been touched by cancer and I want a world where no one will ever again hear the words…“You Have Cancer.” Take a minute and think about someone you lost...What would you do to have another moment with them? Another hug? One more talk? Let them know the love you feel for them? It’s been 33 years since my first diagnosis, and 13 years since I lost my best friend. Not a day goes by that I don't think about her and those young kids I met in the hospital who I never saw again. I accepted this fundraising challenge because I want to do my part to make a difference. It gives me connection and purpose, an opportunity to honor my best friend, and all those who have lost their lives to cancer, AND to celebrate all those who have survived. You can do the same. Donate to my campaign, and you will join a special group of people, true Angels flying to new heights to support this important mission. My amazing team, Charlie’s Angels, are dedicating themselves over the next ten weeks raising as much money as possible to find cures for blood cancer. I want to be part of a world without cancer! Do you? Everyone wins when cancer loses! Your support will help fundlifesaving therapies and treatments. Your support will continue advancements responsible for doubling, tripling, even quadrupling survival rates for blood cancer patients. LLS supported therapies are now being used to treat other cancers as well, like stomach and skin, and are in clinical trials for lung, brain, breast, pancreatic and prostate cancers. LLS funded treatments like targeted therapies and immunotherapies are saving thousands of lives every day. Donations are tax deductible, please support LLS research. We are getting closer to a world without blood cancers!